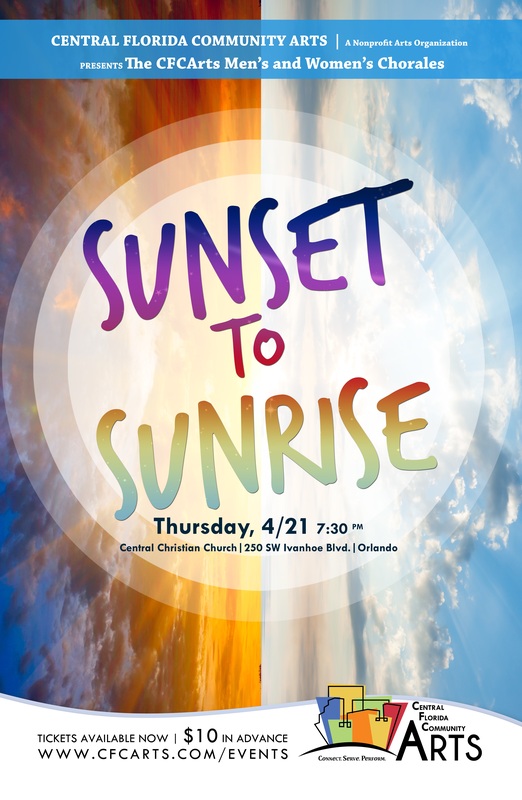 The Central Florida Community Arts’ Women’s and Men’s Chorale present Sunset to Sunrise. This is a musical journey through the sun-setting music of the night and experiencing the dawn of a new day. This concert will not only feature classic composers like Beethoven, Brahms and Mozart, but also some contemporary composers like Rutter, Bernstein and local composers like Webb. Sunset to Sunrise will be held on Thursday, April 21st at 7:30pm at 250 SW Ivanhoe Blvd. Orlando, FL 32804. General Admission tickets are $10 in advance and $15 at the door. Children age 12 and under will be admitted for free!